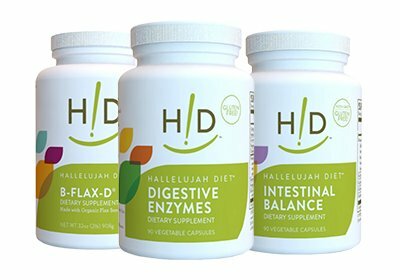 The Hallelujah Diet® 7-Day Winter Detox Program is the only solution that detoxifies you from head to toe while supercharging you with active nutrition. A detox alone will not produce the best results. You will feel deprived, exhausted and even more listless. This is mainly why many people give up on detoxes. As your body eliminates weak cells, they need to be replaced with stronger, healthy cells and a surge of vitamins, minerals and electrolytes. The Hallelujah Diet® 7-Day Winter Detox Program was built around this vital principle, so you can regain energy and vibrant health. BarleyMax® 4.2oz in Original or Berry to supercharge your body with pure nutrition exploding with vitamins, minerals, essential amino acids, chlorophyll, flavonoids, trace elements, antioxidants and live enzymes. You need cellular energy so that there is extra energy for cleansing beyond just maintenance energy for daily tasks. BarleyMax is unique among whole green foods because it is grown organically in well-composted and mineral rich soils and processed at a low temperature that does not destroy enzymes or heat sensitive nutrients. BarleyMax excels at providing your cells with that extra energy needed for cleansing. The natural chlorophyll in BarleyMax also binds to toxins like polyaromatic hydrocarbons (PAHs) so they are not absorbed into the body. Fiber Cleanse assists gentle full-body detoxification by insuring elimination via the bowels without strain, at least twice a day. This is critical in getting the toxins out of the body. Besides the obvious effects on the bowels, the herbs in Fiber Cleanse positively affect the kidneys and liver, two of your other body organs that have major roles in detoxification and elimination. Feeling tired and run down? Depressed? You're not alone. Vitamin B12 is often overlooked as a key, missing factor when the body is dealing with fatigue, anemia, depression and developmental delay issues in children and dementia. The best way to rule out the possibility of a B12 deficiency (and to prevent one) is to use a bottle of sublingual, bio-active B12, formulated along with cofactors B6 and folate, also in their bio-active forms. Because B12, B6 and folate play such a vital role in energy production and detoxification, results from one bottle will usually reveal whether you need more B12. Who Needs B12? Vegans, Vegetarians, and Everyone older than 50.?Vegans and vegetarians are typically low in vitamin B12 because it is not found in plant foods. However, people who eat meat are low in B12 as well. An article in the American Journal of Clinical Nutrition that appeared in 2000 reveals that 39% of individuals tested had low-to-normal levels of B12 in their blood, and 17% had levels low enough to cause symptoms of deficiency. 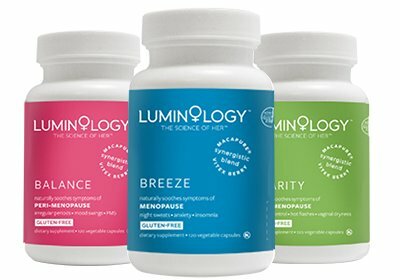 What was the most reliable source of B12 for people in this study? Supplemental B12 from breakfast cereal. As we age, most of us do not absorb B12 efficiently from animal source foods, so supplements become the best source of dietary B12. 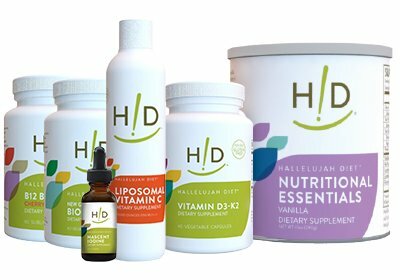 Research conducted by Hallelujah DietÂ® Research Director Dr. Michael Donaldson revealed low levels of B12 in 47% of the 54 test subjects; it became clear that it is wise for everyone to be aware of their need for B12, regardless of their diet. 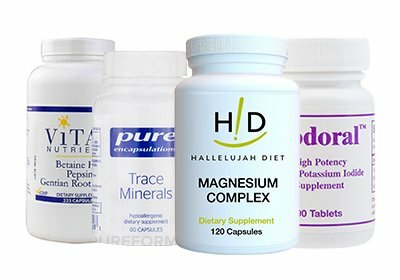 And for those following a vegan or vegetarian diet, including The Hallelujah Diet, it is vital to use a B12 supplement, preferably one formulated with methylcobalamin, the active form of B12, not cyanocobalamin, which the body must convert before it can be used. What is B12 good for? ?Vitamins B12, B6, and folate are critical for the methylation cycle, which produces DNA bases for replicating cells, methylated forms of carnitine, CoQ10, myelin (the sheath that insulates nerves), melatonin, and the neurotransmitters acetylcholine, dopamine, serotonin, norepinephrine, and about 50 other molecules in activated forms. The methyl cycleâ€™s function has major effects on mood, fatigue and energy levels. The methyl cycle also controls the production of sulfur molecules like cysteine, regenerated from homocysteine. Cysteine recycled by the methyl cycle is the limiting precursor for glutathione. Proper detoxification cannot occur without optimal amounts of glutathione. Vitamins B12, B6, and folate are all critical elements of the methyl cycle, and work best in their activated forms as provided here. Vitamin B12 is especially important for rapidly dividing cells (like blood cells, skin, lining of digestive tract, etc.). Vitamin B12 is very important for nerve health. Extra B12 supports optimal methylation cycle activity, which helps to fight fatigue. Vitamin B12 helps the liver to detoxify effectively by supporting the methylation cycleâ€™s production of glutathione. Vitamin B6 is important for recycling homocysteine for production of glutathione. Vitamin B6 in the bio-active form is a potent antioxidant. Vitamin B6 in the bio-active form prevents lipid peroxidation. Folate is important for production of DNA. Folate is critical for optimization of the methyl cycle. Folate plays a critical role in energy level, mood, and detoxification. For pregnant women and women who hope to become pregnant, folate plays a vital role in the healthy development of their baby. For more information on B12 and misdiagnosed health issues, see the book Could It Be B12?. You can also read more about the vitamin on the National Institute of Health, Office of Dietary Supplement website: http://ods.od.nih.gov/factsheets/VitaminB12-HealthProfessional. 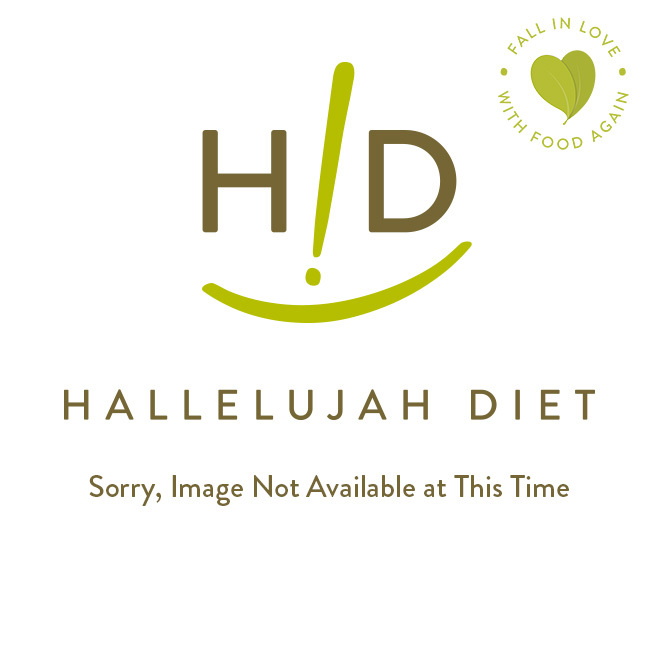 All Hallelujah Diet® supplements and snack foods pass our rigorous high standards. We don't sell anything that we wouldn't use ourselves. Suggested Use: 1 sublingual tablet daily or as directed by a health care professional. For best results, dissolve under the tongue. Ingredients: Vitamin B6 (as pyridoxal 5-phosphate) - 25mg?Vitamin B12 (as methylcobalamin) - 1,000 mcg?Folate - 400mcg Other Ingredients: mannitol, fructose, croscarmellose sodium, natural cherry flavor, silicon dioxide, magnesium stearate and stearic acid.